Softbites brings you digestible summaries of the latest research in soft matter. If you have a soft spot for the science of bubbles, liquid crystals and other squishy materials you might have heard of soft matter! If you have not, this branch of physics is a fascinating interdisciplinary field studying various kinds of materials from gels to biological systems. They all share the fact that they are soft, which means they are not exactly solid nor liquid. For instance, if you poke a bit of foam, it will resist like a solid at short times, but it will flow at longer times. Read our posts to find out more about soft matter! We write about colloids, gels, biomechanics and many other squishy subjects! We are inspired by the most recent papers and the classics as well.  Softbites is run by a group of young scientists who want to attract a wider audience to the beautiful world of soft matter. We are Ph.D. students and postdocs from all over the world. Writing for Softbites is a way of sharing our passion for soft matter. We would especially love to attract younger students to research by explaining fascinating research papers, which are often technical and intimidating for people outside the field. If you fell in love with a specific field of research while you were reading some posts on Softbites, feel free to get in touch with the author to ask more questions. If you want to become a Softbites writer, or you just want to get in touch with us, please reach out! We are proud to be part of the bites family. The eldest is Astrobites which has been writing about astrophysics since 2010. The concept has been extended to other fields of science through sister websites listed below. Have a look if you’re interested! Thanks to The Lutetium Project! Most of the beautiful pictures and videos illustrating this website have been kindly provided by our friends from the Lutetium Project. They run a YouTube channel featuring the connections between art and soft matter. You MUST check them out! Especially this video, which most of the footages illustrating this website have been extracted from.